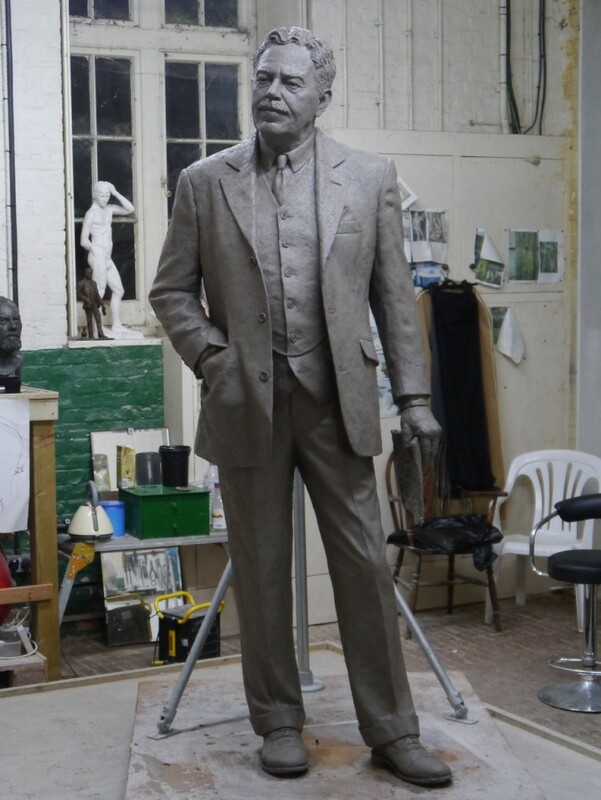 In 2015 I was commissioned to sculpt a bronze statue of Sir Nigel Gresley for King’s Cross Station, by the Gresley Society Trust. Sir Nigel, the eminent railway engineer (1876-1941), designed the record-breaking steam locomotives, Flying Scotsman and Mallard. The 7ft 4in bronze will be unveiled on the new Western Concourse, adjacent to his former offices, at 11am on the 5 April 2016. This marks the 75th anniversary of Gresley’s death. Please see the specific sections of this website on the Gresley maquette and the Gresley statue for further details.